Set during the building process of the now world-famous Eiffel tower, Belle Epoque is a lovely historical young-adult novel about beauty and friendship. After running away from home Maude Pichon can’t find a job in Paris. The only agency that will hire her is one for ugly girls. They are rented to society ladies that will look even more beautiful next to their deformity. I LOVED the repoussoir (to repel in French) business. As stated in the Author’s Note in the final page of the book, Belle Epoque is based on a short story by Émile Zola. Knowing now that he has thought up such a wonderfully bizarre yet believable concept, I’m looking forward to read some of his work. 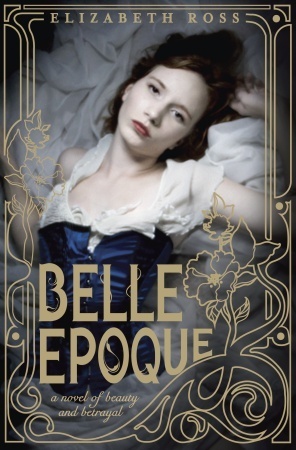 Back to Belle Epoque; Ms Ross deserves massive kudos for using Zola’s idea and making it her own. 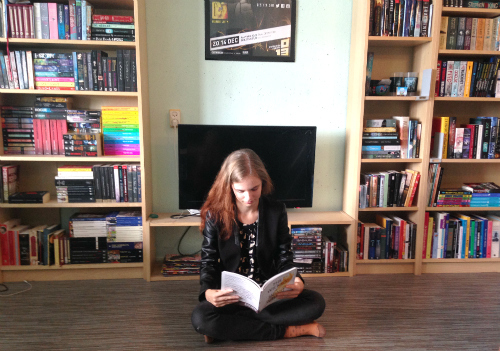 The novel is highly original, especially in the way it deals with being and/or feeling ugly or inadequate. It was lovely to read about historical Paris this way. I actually knew that Parisians thought the Eiffel tower was grotesque and couldn’t wait for it to be destroyed again (which was scheduled for a few years later). This construction works perfectly as a backdrop of Maude’s story, and of the changing era. There is some clear girls’ oppression – emancipation kind of theme going on, but I was glad it didn’t turn into a massive “girls should all go to college!” rant. Ms Ross keeps the characters within the bounds that constitute the characters, and doesn’t use them as sock puppets just to make a point. Belle Epoque had some very strong parts where I felt connected to the main character and her thoughts. At moments though I missed a bit more introspection, and I wanted some more thoughts and a bit less descriptions of actions. It’s a minor flaw which didn’t stop me from enjoying the book, but it’s just that tiny difference that didn’t make it a 5-star read for me. Great historical young-adult book set in Paris (and light on romance, for those of you that like a more story-focussed book) with an amazing concept that’s executed well.